A Hyundai sunroof class action settlement has been proposed that would settle claims the panoramic sunroofs are prone to shatter suddenly and without warning. According to the plaintiffs, the sunroofs can explode in the following models if they came factory-equipped with panoramic sunroofs. Hyundai owners claim they are scared out of their wits when the panoramic sunroof glass explodes and covers the cabins and occupants with glass. 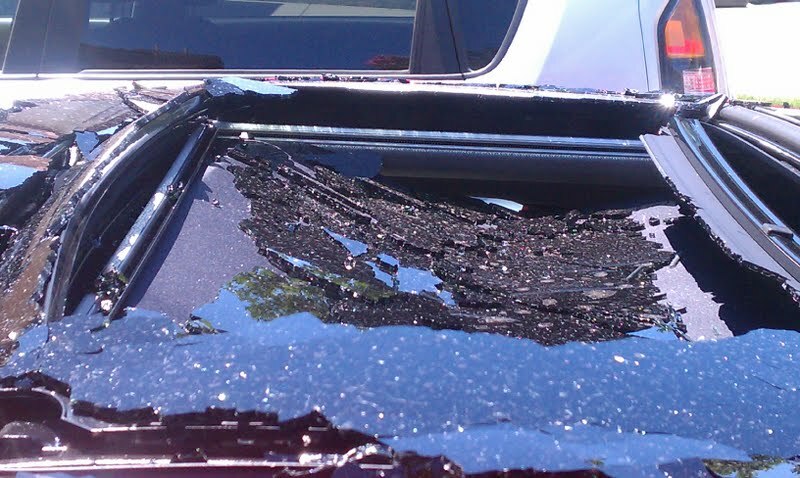 Noise like a shotgun, falling glass and being driven to distraction are included in the class action as symptoms of a shattered sunroof. And although none of the plaintiffs report any injuries are crashes related to shattered sunroofs, the lawsuit alleges drivers receive such a fright the allegedly defective sunroofs are a serious safety concern. Drivers also complain about extreme expenses associated with sunroof repairs and replacements, in some cases costing more than $1,000 even if the vehicles are still under warranties. The class action alleges Hyundai dealers often blame the shattered glass on “stone chipping” that isn’t covered by warranties. The lawsuit, filed in 2015, alleges the automaker knew about the sunroof dangers but concealed those dangers from customers. Plaintiff Billy Glenn says the glass in his 2014 Santa Fe Sport shattered months after he purchased the vehicle, then the replacement sunroof also exploded. Hyundai has agreed to settle the class action lawsuit but denies the panoramic sunroofs are defective. The automaker says a very small percentage of customers have reported sunroof problems and there have allegedly been no reports of serious injuries or crashes related to shattered sunroofs. The proposed settlement provides a Hyundai sunroof warranty extension that doubles the warranty to 10 years or 120,000 miles including free replacement parts and all labor. The sunroof extended warranty also covers damage to paint or upholstery caused by broken glass, and provides for free loaner cars while repairs are made. In addition, the warranty extension will cover shattered sunroofs even if the glass was broken by rocks or road debris, and the warranty will carry over to subsequent Hyundai owners. For customers who paid money for repairs related to shattered sunroofs, Hyundai will reimburse customers for all related repairs, including repairs to the paint and interior cabins. Hyundai will also reimburse customers who paid for towing or rental cars if the expenses were related to shattered sunroofs. And finally, customers who no longer want to own an affected Hyundai vehicle with a sunroof, the proposed settlement provides some relief. A customer who sells their vehicle and buys a non-Hyundai vehicle can claim up to $600, while a customer who trades their vehicle for a new Hyundai without a panoramic sunroof can receive a $1,000 rebate. Affected customers must sell or trade their vehicle within 90 days of the Hyundai class action settlement notice. Attorneys for the plaintiffs have requested $5.4 million for fees and costs. Although both parties have agreed to the sunroof settlement terms, a federal judge must still give final approval which is likely months away. The Hyundai sunroof class action lawsuit was filed in the U.S. District Court for the Central District of California – Glenn, et al., v. Hyundai Motor America et al.